I love learning about new tools to make social media marketing more creative and effective, so I’ve decided to share some of my favourite tools with you at the start of each week. This week’s cool tool recommendation is Photofeeler, billed as the “world’s smartest photo feedback” tool. I’m intrigued by this free tool designed to help you make the right impression online. Advanced algorithms by Carnegie Mellon University Ph.D. mathematicians make Photofeeler a valid scientific tool, not just a toy or game. Photofeeler’s co-founder has a PhD in Optimization Algorithms and experience writing artificial intelligence for Fortune 500 companies. What Photofeeler does with algorithms and machine learning, is monitor vote quality, detect all manners of voter fraud in real time, and use sophisticated score distribution analysis — accounting for factors like individual voter styles — to optimize the accuracy of test results. The consequence is statistical accuracy far beyond what a small number of votes could normally provide. 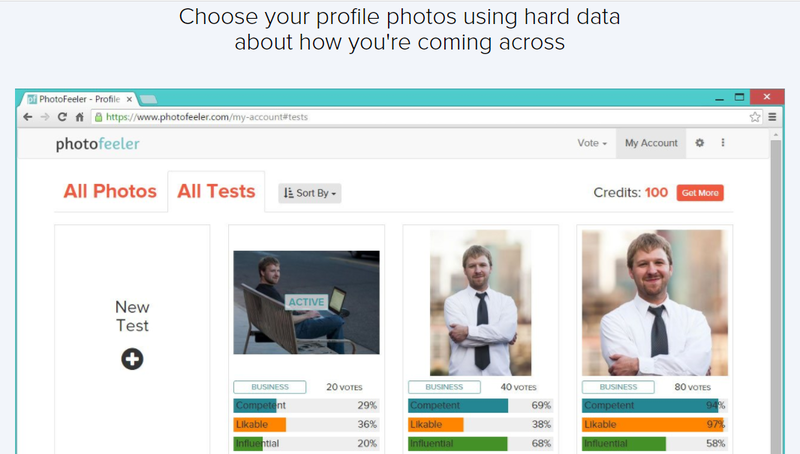 When you start a test on a photo, other logged-in Photofeeler users (within your selected voter demographic) can see that photo on the voting page in order to give their feedback. When the test is ended, the photo becomes entirely private again. Photofeeler Ranks are a comparison between your photo’s score and all the rest that have been tested on the Photofeeler platform. Photofeeler Ranks are given as a percentile. So, for instance, a Rank of 58% means your photo did better than 58% of photos. Let me know if you try this tool out – I’d love to hear how you get on with it. Previous Post What’s New in Social Media This Week?